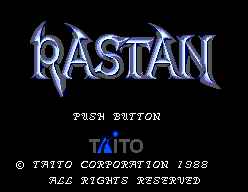 Rastan - Cheats - SMS Power! Hold + + , and turn on the system. The title screen will turn blue to confirm correct code entry.